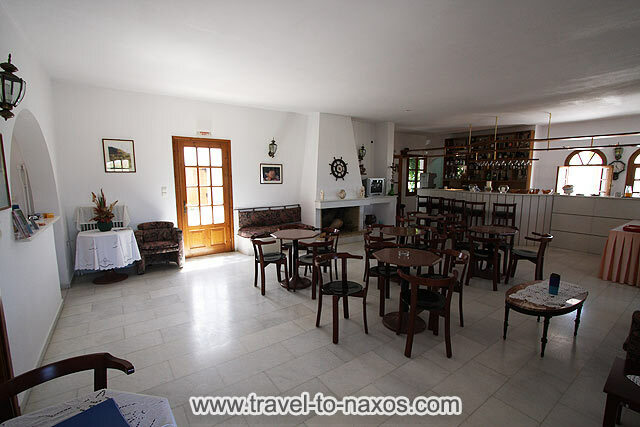 Hotel Dilino (Dilino is the greek word to name the beautiful orange coloured horizon during sunset on sea) lies very calm and quiet in the middle of a hill in a small but beautiful garden viewing southwest to the sandy beach of Agios Prokopios which is about 300 m away. 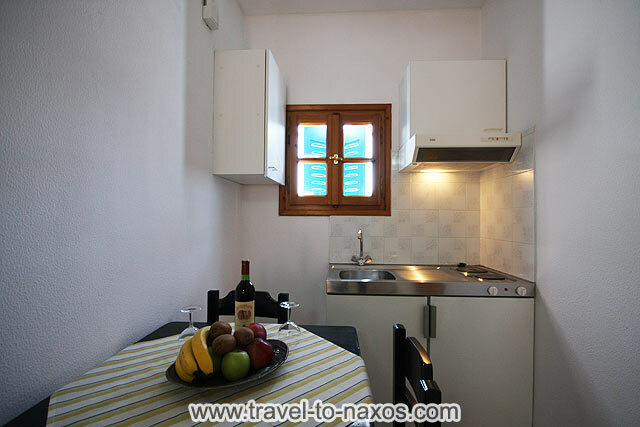 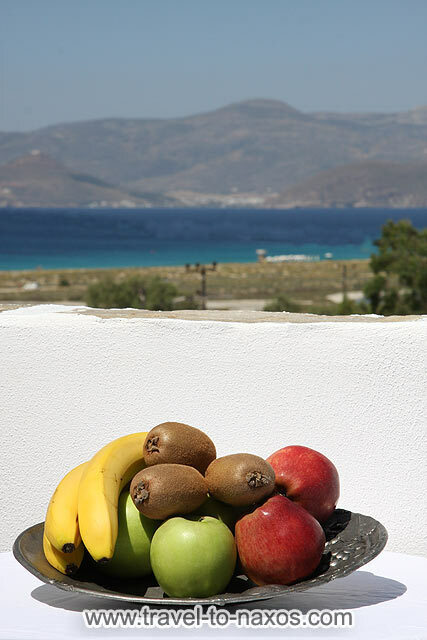 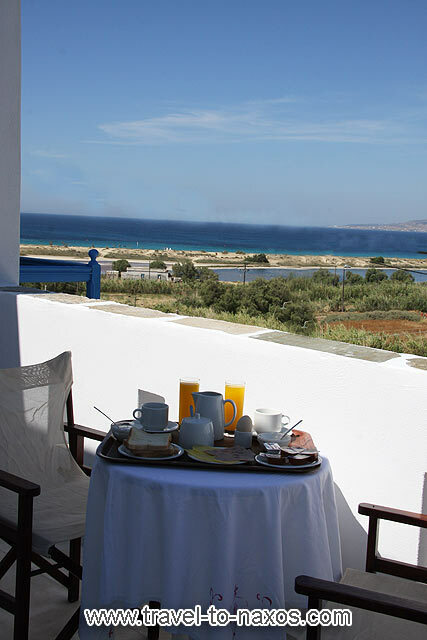 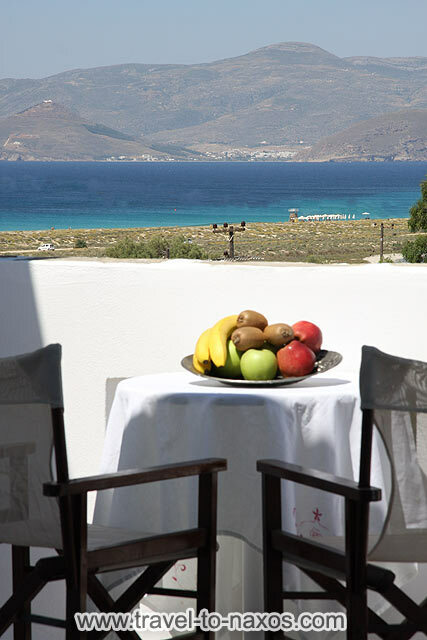 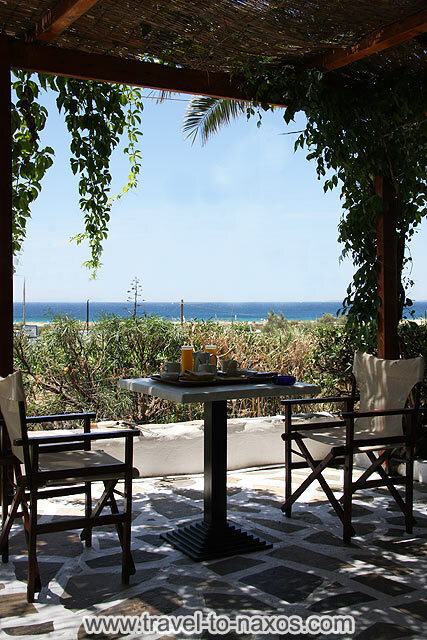 The village nearby (also named like the beach: Agios Prokopios) is situated approximately 4 km south of Naxos-Town. 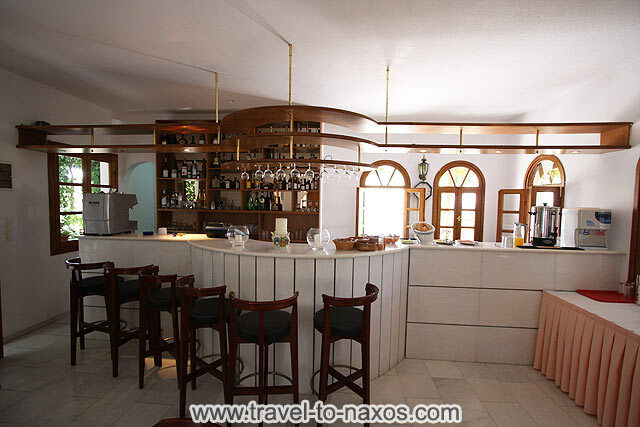 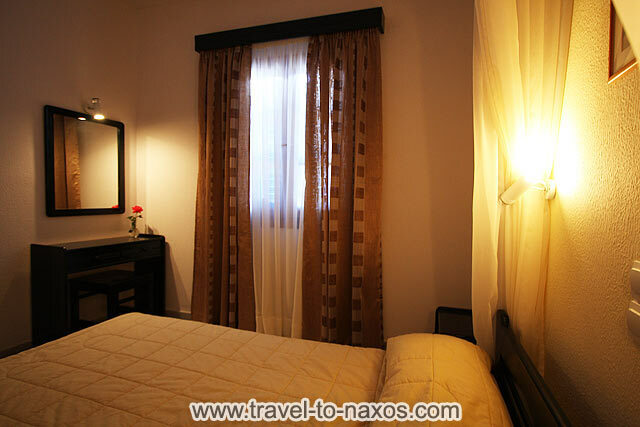 There are shops and tavernas which also could be reached in about 300 m. A bus stop is close to the hotel (150 m) and offers the possibility to go other beaches or to Naxos-Town. 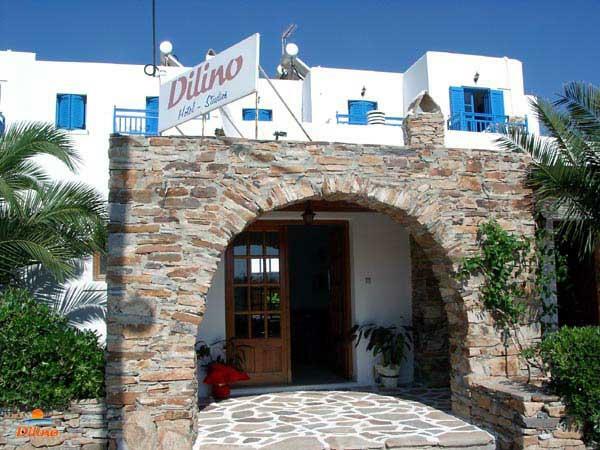 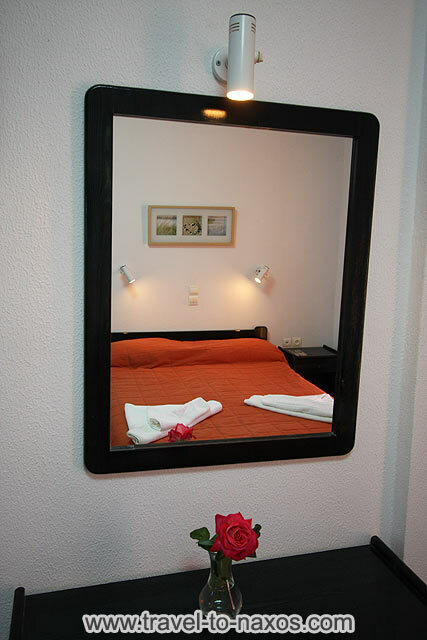 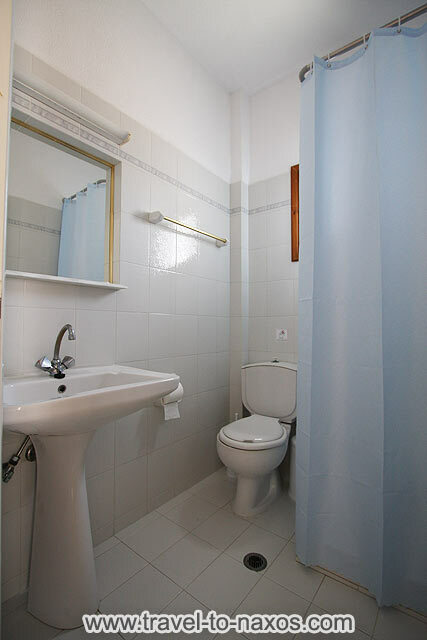 The Dilino was built in 1994 with 21 studios/appartments. 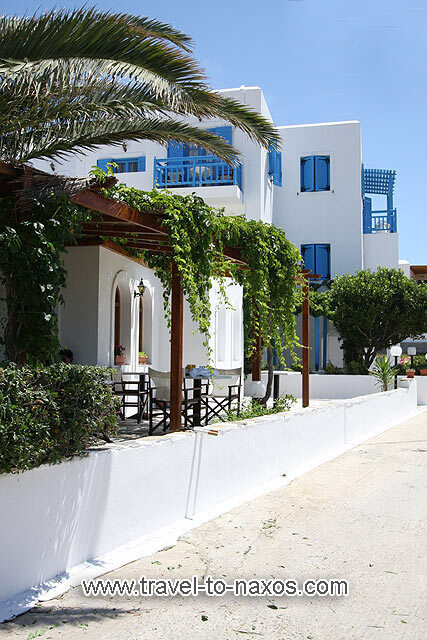 It is run by the young greek owners (english spoken) in a attentively, friendly and warm-hearted manner. 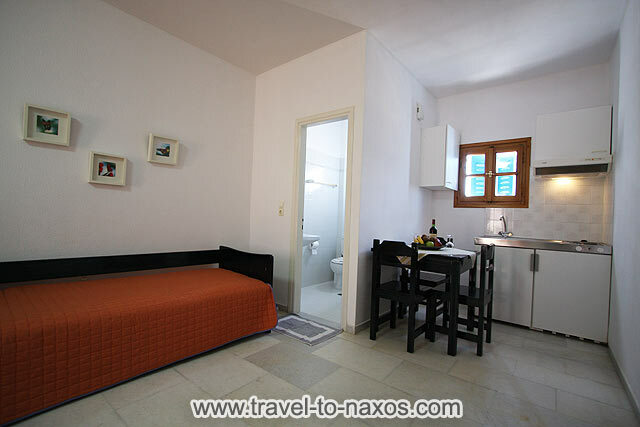 In the main building there are the reception with fax service and access possibility to the internet/eMail. 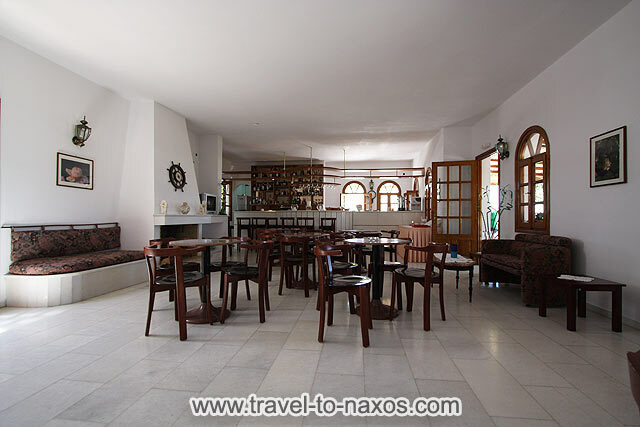 Also there are the bar with an open fire and satellite TV as well as the big porch. 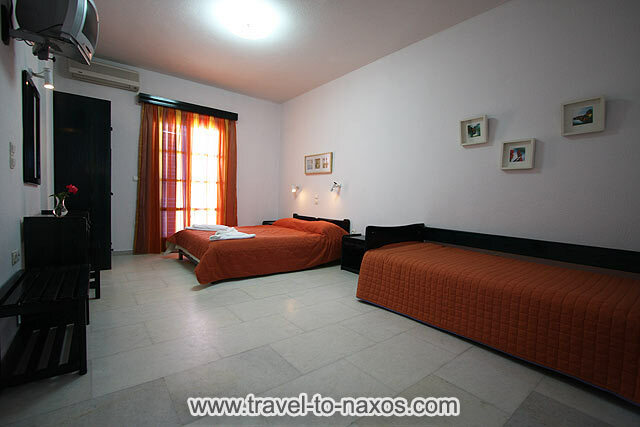 The studios/appartments are all situated in a conterminal building.